New cover and additional recipes in the back of the book. 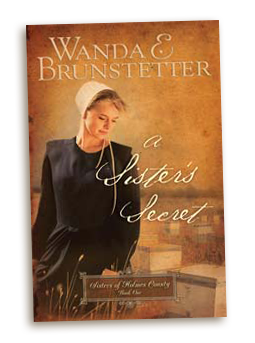 Putting her rumschpringe days behind her, Grace Hostettler returns to her Amish community in Holmes County, Ohio and becomes engaged to Cleon Schrock. Grace’s life is turned upside-down when she runs into Gary Walker, an English man who knows enough about her former life to destroy her future. Can God bring anything good out of a shameful past? The Hostettler family continues to face an unseen enemy who randomly attacks their property. Despite the unrest, Ruth, the second oldest sister, is about to realize her greatest dream — to marry and raise a family with Martin Gingerich. But in one horrific moment, Ruth’s world is shattered. Can Ruth rise above the ashes of her misfortunate with faith and heart intact? Martha Hostettler is concerned about the continuous attacks being made on her Amish family. With a definite motive and a myriad of methods, Luke Friesen looks like the guilty one. Determined to clear Luke’s name, Martha decides to play detective. What will the search for the truth cost her? To be released December 2011. When I read about some unkind things that had been done to several families in an Amish community, I wondered how the attacks had affected those people. Having been to Holmes County, Ohio on numerous occasions, I decided to set this book series there and center it around some mysterious attacks being done to one particular Amish family. 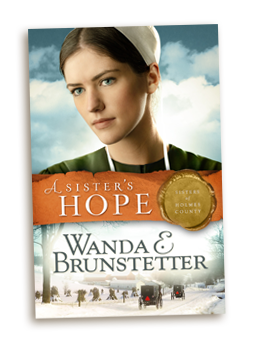 The stories in this series show how each of the three Hostettler sisters are affected by the attacks, and how their lives are changed, as they draw closer and learn the true meaning of forgiveness. "Second chances and redemption after betrayals and lies of omission make for a fine first tale in the Sisters of Holmes County. The story line is fun to follow as the Amish struggle to keep their lifestyle while the intrusive English want to develop the land. Although Grace is tentatively the starring 'sister' of this tale, she never provides much action as she is more a marvel watcher while others like Gary propel the plot forward. 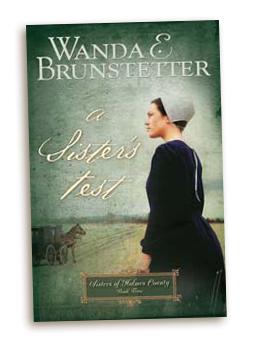 Still fans of Wanda Brunstetter will enjoy her opening tale in her latest Amish saga." "I love novels about the Amish. Their way of life is so simple and unhurried. 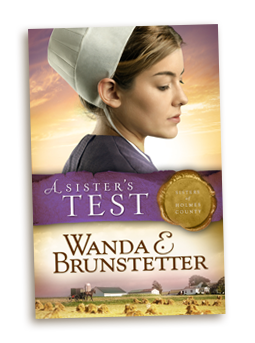 A Sister's Test takes the reader into the lives of the Hostettler family and reminds you of the things that are truly important in life. When Ruth faces tragedy, the faith of her family around her sustains her until she is able to see the light at the end of the tunnel for herself. The way she responds to her devastating loss is completely realistic. I was often frustrated at the way Ruth's father, Roman, was so passive about the vandalism and attacks on his property and wished he might become a little more proactive." 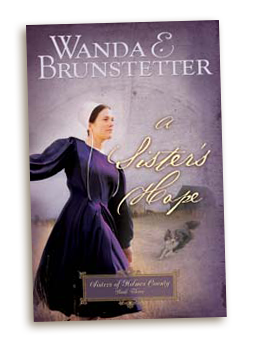 "I really enjoyed reading A Sister's Hope and learning more about the Amish culture. 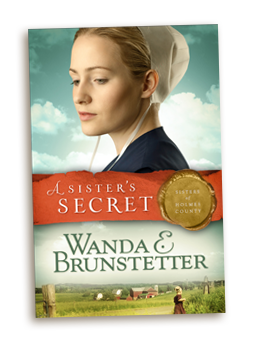 Wanda E. Brunstetter's style of writing is easy to follow and keeps the reader engaged in the story. 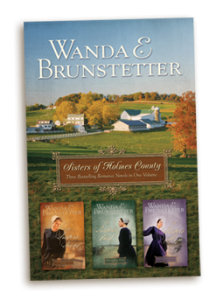 Younger women will be able to relate to the struggles that the Hostettler sisters face, and older women will enjoy a well told story about the trials of a traditional Amish family."